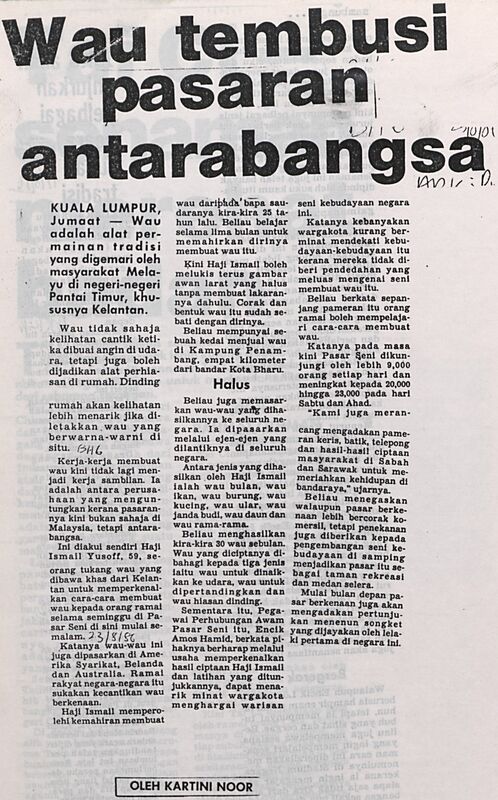 Kartini, Noor (1986) Wau tembusi pasaran antarabangsa. In: Adat Resam dan Kebudayaan 1986. University of Malaya Library. Common Repository is powered by EPrints 3 which is developed by the School of Electronics and Computer Science at the University of Southampton. More information and software credits.